WARREN, R.I., September 14, 2018 – AVTECH Software (AVTECH) is excited to announce that it has opened its first international distribution facility in Shannon, County Clare, Ireland. 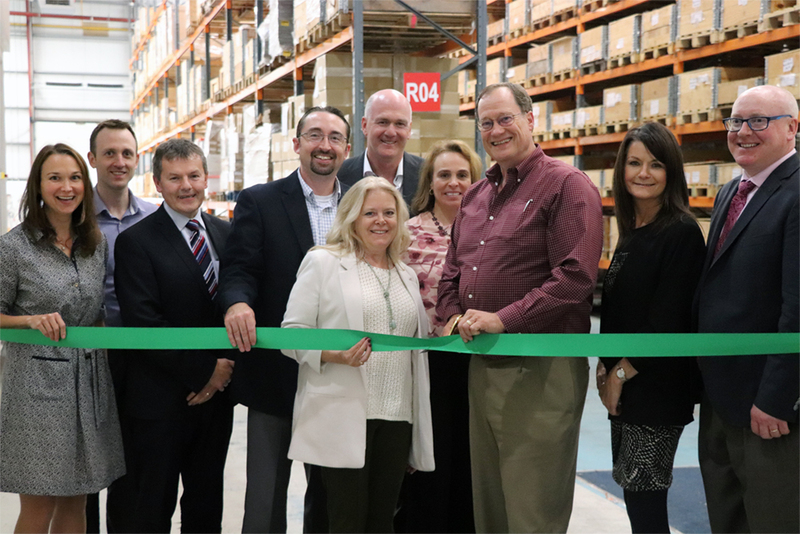 AVTECH’s new distribution facility will focus on shipping Room Alert monitors, sensors, and accessories to customers and resellers located outside of North America. This will help shipments arrive much faster while reducing import duties and fees for most international customers. Now in its 30th year in business, AVTECH manufactures Room Alert, the world’s most popular environment monitor. Room Alert is made in the USA and proactively monitors environment conditions such as temperature, humidity, flood, power, smoke, and more. Room Alert is currently used in 186 of 196 countries by organizations ranging from thousands of small businesses to Amazon, Boeing, Sprint, Microsoft, over 80% of the Fortune 1000, the United Nations, Pentagon, all branches of the US government, all 50 states, and many local governments. AVTECH was named “RI Exporter of the Year” by the US Small Business Administration for 2018. Room Alert is an important part of business continuity plans, as it provides monitoring of the environment factors that cause 30% of outages suffered by businesses that traditional security hardware and software do not monitor. With models starting at just $165, there is a Room Alert solution for organizations and applications of every size or type. In addition to Room Alert environment monitors, AVTECH also provides Device ManageR software and the Room Alert Account web portal for Room Alert monitoring, logging, management, and reporting. Both software packages are developed, supported, and updated at AVTECH’s corporate headquarters at Cutler Mill in Warren, Rhode Island. AVTECH offers a wide range of digital, switch and analog sensors designed to help users monitor as many environment conditions as possible to help protect their facilities. Room Alert users can protect their facilities by easily adding sensors to monitor environment factors such as temperature, humidity, flood, power and smoke while also monitoring factors such as fuel/water tank levels, motion and air flow as well. “The state of Rhode Island has been instrumental in helping to support our international growth,” said Richard Grundy, President & COO of AVTECH. “By leveraging programs offered by the state and organizations such as CommerceRI and the Chafee Center for International Business at Bryant University, we have been able to grow our international sales and relationships exponentially in just a few years. Opening a facility in the European Union to help deliver our products faster and more economically was the next logical step in our growth, and one that we are proud to announce today.” AVTECH expects to begin shipping to international customers and resellers through their distribution facility in Ireland beginning in October.